I recommend stopping by Uniqlo 34th Street often to pick up great summer items on sale now, because they go fast, and Uniqlo rotates that merchandise like NO ONE's business. Seriously, I come back the next day and my precious Laduree tank dresses have been moved to a new locale. Or worse, they're gone! 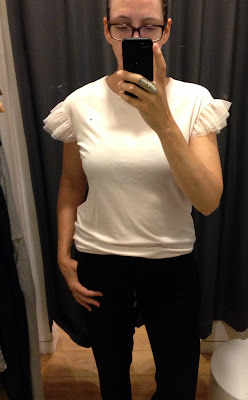 So I can't guarantee that any of the below that I tried on last week is still in store on 34th Street, but I can guarantee you'll find something just as adorable in its place. 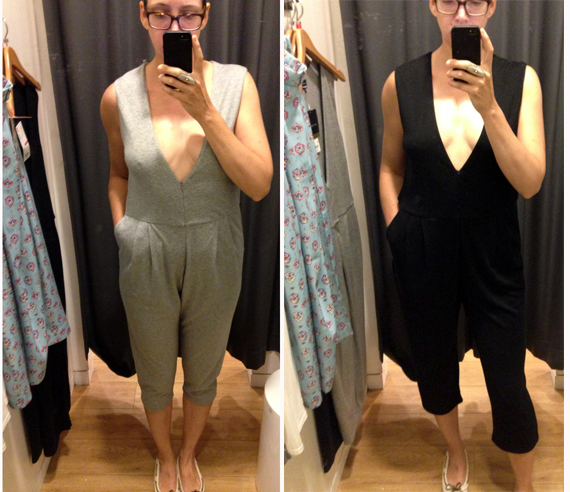 I kind of went nuts for this cropped jumpsuit. I might have bought two. leur logette on sale for $19.90. 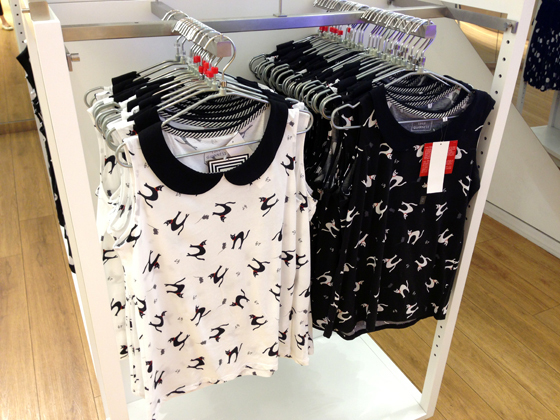 leur logette top, on sale for $9.90. 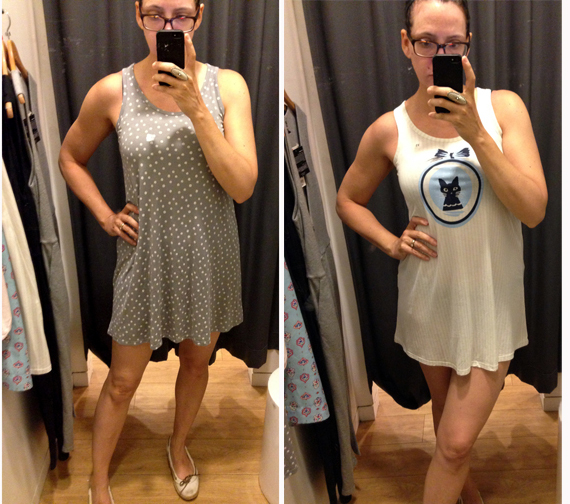 These are called tunics (celia birtwell, now $9.90 on sale) but let's face it: these are the best summer weekend dresses/pjs ever. Totally soft, totally cool, totally easy. There is so much cuteness to choose from. 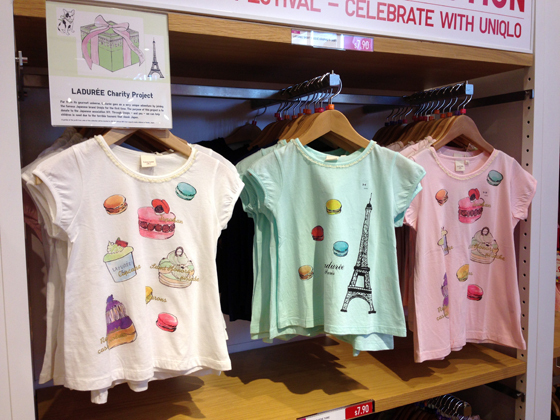 The Uniqlo DIPs (Designer Invitation Projects) and collections have been on awesome overload this summer.